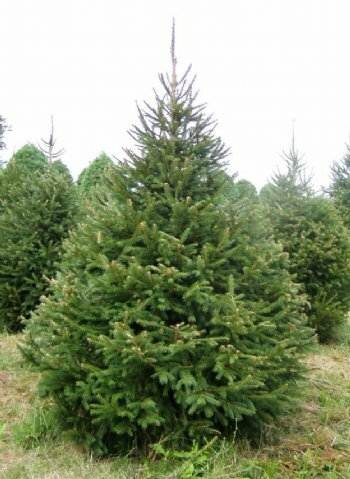 NORWAY SPRUCE Large evergreen tree growing 115-180 feet tall. Shoots are orange-brown and glabrous. Leaves are needle-like, quadrangular in cross-section and dark green on all four sides. Have the longest cones of any spruce. It is widely planted for use as a Christmas tree. "